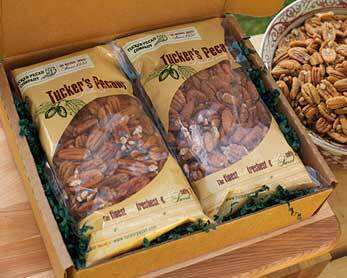 The TUCKER PECAN COMPANY Cello Bags are a customer favorite. Each 1 lb. 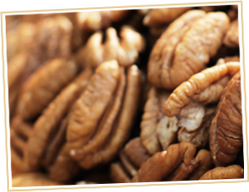 Cello Gift Bag is decorated with the TUCKER PECAN COMPANY logo and is guaranteed fresh upon arrival. Choose between the Twin Pack of Halves and Pieces, the Combo of Halves and Roasted & Salted, or the Triple Delight of Halves, Pieces and Roasted & Salted.